Scott Gamble is a Director at Kalypso helping clients develop ‘end-to-end’ capabilities in product development, Innovation and product lifecycle management to win in a digital world. Prior to Kalypso, Scott's experience includes brand and Innovation leadership roles with Kellogg's, Pillsbury, Schwan's. In these roles, he gained extensive experience in strategy development, portfolio management, brand building and managing Innovation and renovation. He also served in strategy & planning and Innovation PMO roles. Scott started his career with Dow Chemical in a commercial development role helping companies realize the value of specialty chemicals and plastics in innovative products. Scott has a Bachelor of Business Administration from the University of Iowa, Master of International of Management from the Thunderbird Global School of Management - AGSIM, and Master of Business Administration from the Carlson School of Management - University of Minnesota. 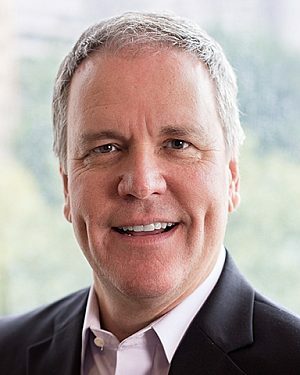 Scott brings a unique set of experiences from over 30 years to help clients developing and integrating the full scope of Innovation and product development capabilities, and associated organizational change management; from strategy and operations to implementing core and digital technologies. Scott and his wife are recent empty nesters based in Minneapolis. Scott is passionate about sharing time with his family and especially enjoys sharing time together at local venues, city and northern lakes and the Arizona desert in early spring. In his spare time, he enjoys reading about global current events or escaping in a Jack Reacher novel.